Photo © Copyright 2015 Cintia Soto. www.CintiaSoto.com. SAN DIEGO – My first exposure to Mexican artist Gennaro Garcia’s “Hecho a Mano” (Made by Hand) series was vis-à-vis my Instagram feed. Friends shared images of Garcia’s hand painted plates in use at a culinary event in San Diego earlier this year. Each piece in the series depicts a pair of outstretched hands in the artist’s trademark black outline against the stark white background of talavera flatware. The artwork isn’t really complete, however, until a course of food – in the case of the Instagram photo, one of chef Priscilla Edith’s colorfully garnished tacos de birria – is placed on the plate in the center of the hands. The effect lies in the visual implication that a loving cook, chef or host is extending sustenance made by their hands for the diner to enjoy. The plates caught fire not too long after after they were literally fired. Chefs requested them for their homes and kitchens. Art galleries that carry Garcia’s canvases displayed them as installations on their walls. The Hecho a Mano series was even nominated in July for the Martha Stewart “American Made” award. His popularity keeps Phoenix-based Garcia on the move. 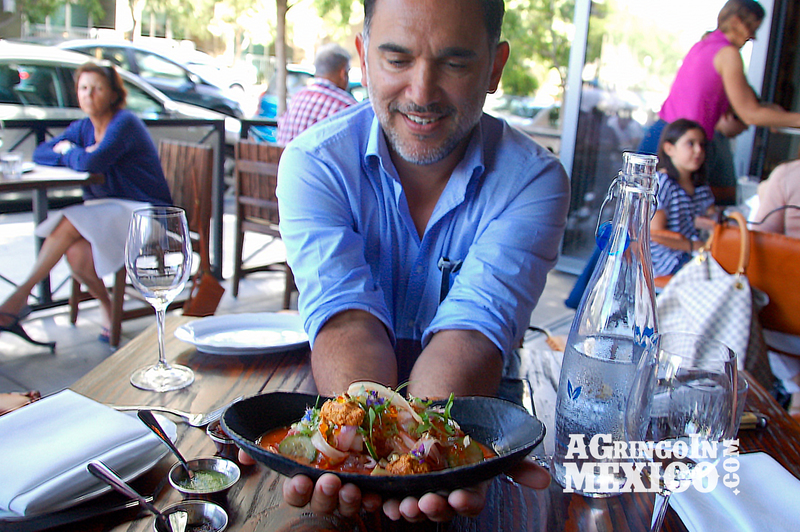 When A Gringo in Mexico met the artist for this interview, he was holding court on the patio at chef Javier Plascencia’s San Diego eatery Bracero Cocina de Raiz. Garcia is working on a new mural for the restaurant that highlights the hardscrabble history of the Braceros who worked the fields in the US under a government supervised program in the 1940s. Gennaro Garcia displays one of his plates at Bracero Cocina de Raiz. I sat down with the amiable Garcia over appetizers and a bottle of chilled Monte Xanic Sauvignon Blanc to get the story on his art, his collaboration with chefs and the inspiration behind his Hecho a Mano series. A Gringo in Mexico: How did the Hecho a Mano series get started? Garcia: I love food. I love restaurants. 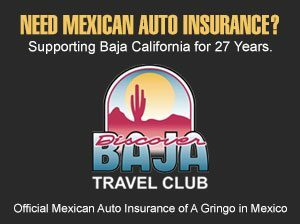 I grew up around the restaurant business and have really good relationships with chefs in Arizona, California and Mexico. A few years ago I opened a restaurant in my hometown of San Luis, Sonora, Mexico with a friend. We served my recipes from the family restaurant we had twenty years ago. I did a big mural inside of the kitchen. A year before opening the restaurant, I did an exhibit in Puebla, Mexico, where I created a collection of talavera plates based on some of my designs. I wanted to use the plates I did for our restaurant, but talavera was way too expensive for me. So I had the idea of doing plates that I could sell to other restaurants. My goal is to have my plates on tables, as works of art. As an artist, what I enjoy the most is collaboration. Artists learn from each other. When I work with a chef I admire, we work closely together. I’m not going to collaborate by cooking in their kitchen. I wanted to do something that would showcase their creations, their masterpieces. The artist in his studio. Photo copyright photographer Caleb Alvarado. What was the inspiration behind depicting hands holding food? When you cook at home, you use your hands to cook for your family. When a mother cooks, she does everything with her hands, and she carries her plate to her family. This gave me the idea of painting hands, as if someone were handing a plate of food to you. Hands are spiritual. They are always carrying something for somebody. They are shown giving or receiving something in religious paintings. So there is that aspect as well. Take the spiritual aspect of love; you have someone “in your hands” or in love with you. Here, they are literally eating out of your hands. This is how Gennaro Garcia hands you your food. Who buys your plates? Where can they be seen or purchased? I have plates as well as my canvases in some of the thirteen galleries that carry my art in San Diego, LA and Phoenix, including Calvin Charles, the third largest gallery in Arizona. I’m only the second Latino to have a solo show in that gallery in thirty years. The first was Fernando Botero from Columbia, a very well-known artist. As far as (for use in) restaurants, my plates are in use at Bracero exclusively right now. I did a special “Chef’s Edition Plate” which was collected by Javier, Carlos Valdez of Buffalo BBQ in La Paz, Baja Sur and Chris Bianco of Pizzeria Bianco in Phoenix. Marcela Valladolid from the Food Network was also an early collector. I understand that you and Marcela have a mutual admiration for each other’s work. My very first plate, number one, went to Marcela. She collects my work and jokes that she has a piece of my art in every room of her house. She is a great person, very beautiful. Before we met her and saw her on TV, my wife and I joked that we both had a crush on her. We love her to death! Marcela posted my talavera collection online, on her social media. Overnight, I sold 16 prints as a result! I sent her an email saying, “You have no idea of what you have done…your tweets and Instagram helped sell my pieces!” When she had her baby, I sent her a custom plate as a gift. I send her stuff all the time to thank her for her support. Garcia also tries his hand in other mediums, such as these bread boards at Bracero. You’ve been nominated for the Martha Stewart American Made award. Tell us about that. Martha Stewart has this company, American Made. She promotes items that are hand made in America. My plates are fabricated in Wisconsin and I design and paint them from my studios in Phoenix. I don’t want anything (that’s) made in China, except maybe their food! This is something new, more organic, hip and artisanal for Martha Stewart. Someone nominated Hecho a Mano for the award. The winner receives $10,000, but the best part is that you get to meet Martha Stewart and your products are promoted on her website. I want Martha Stewart to sell my plates. There’s nothing higher than that goal for me. What’s next for the Hecho a Mano series? I’m going to do a line of talavera with the hands for the House of Posh Boutique. I am working on a limited edition of plates for kids, using my daughter’s hands (as the model). There will be blue plates for boys and pink for girls. When someone has a baby, they give it a silver spoon, so why not a beautiful plate as a keepsake? Some department stores have shown interest in the plates. A company in Mexico City is interested in a line of plates to retail at El Palacio de Hierro. There’s also some interest from Neiman Marcus here in the US. The new Hecho a Mano collection I’m working on now is actually being made in Mexico from a variety of different materials — wood from Sonora, black clay in Oaxaca talavera in Puebla and ceramic in San Miguel de Allende. I wanted to bring the plates to Mexico and have the best artisans work on them. 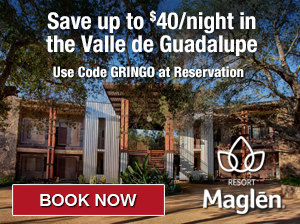 Plus, that’s a great reason to visit different regions in Mexico — you know what I’m talking about, my Gringo amigo! Garcia’s colorful mural at Parque Benito Juarez in San Miguel de Allende, Mexico. I’m going to continue to do exhibits in galleries of murals made with plates. I did a piece of the Madonna from a picture I shot in Spain in 2008 on canvas and oil. I did it again on plates. It’s (installed) in a house in Mexicali. It’s made of 38 plates and is 8 feet tall. It’s one of my largest installations. Finally, Gennaro…what drives you to do what you do as an artist? My art is not just one line. I am an artist. I have to create all day. Every day I’m creating something. I go crazy when I have nothing to do. If I’m out of town, I find an art store and buy some supplies and a canvas and create something in the spare couple of hours I have. Art is beautiful. And for me it’s a business. When I sign it, that’s when the art ends. Then it’s business. I need to sell that piece. It’s awesome to be able to do what I do as a business. I spend half my time creating and half of my time marketing. I am my own product. Garcia contemplates art and business over a good white. Check out Gennaro Garcia’s website at www.artegennaro.com. Like his page on Facebook at www.facebook.com/ARTEGENNARO. Check out his latest creations on Instagram at www.instagram.com/artegennaro. Featured image at top of article copyright 2015 Cintia Soto. www.CintiaSoto.com. 5 HOT Food Colectivos You Must Try in Tijuana!